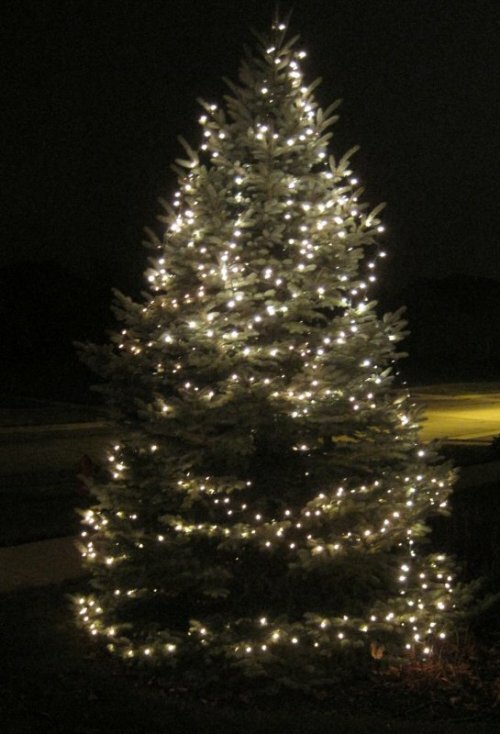 Beginning to look a lot like Christmas here. This is what I see outside my sewing room window. A new kit and pattern The Season of Lights is on the website and in Woolkeeper's Corner. This 7" x 9" banner looks fantastic on the iron stand that is featured with The Season of Color. 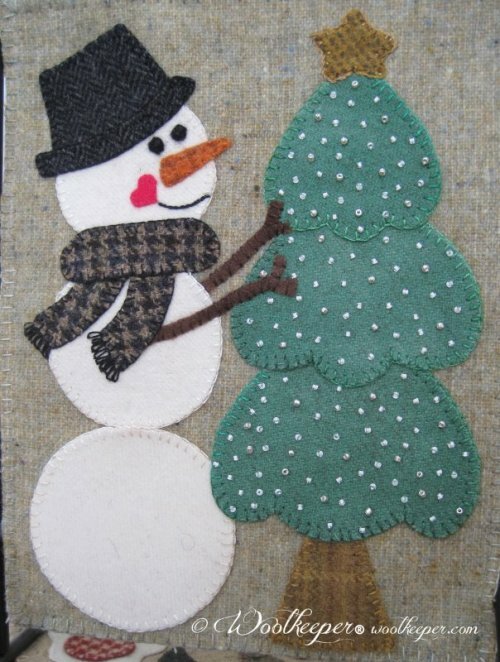 The beads that light up the snowman's tree are included in the the kit. Pattern and Kit, $25. The new 12 month banner series features Ms. Violet Bunny this month. 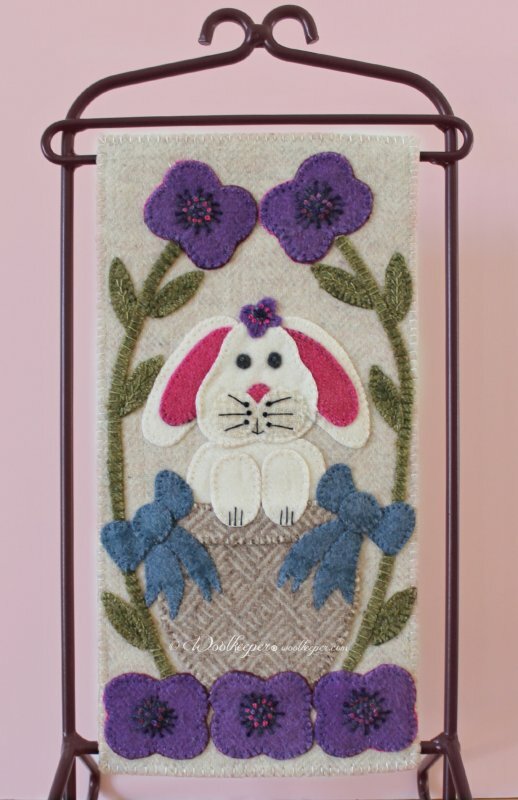 This 6" x 12" all wool applique banner includes wool backing. Pattern and Kit, $25. Woolkeeper will have featured sales items this week available only on the website, woolkeeper.com. 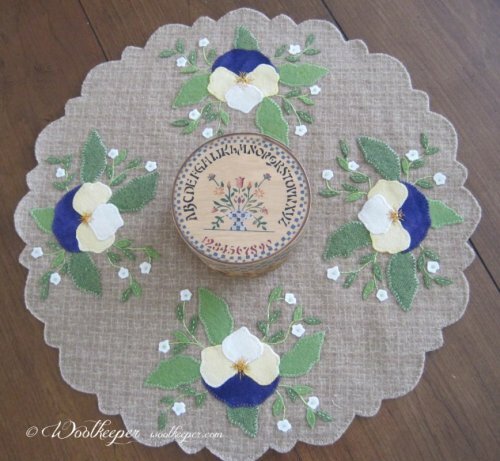 The first offering is Cheerful Faces, a 19 1/2" round all wool applique mat with backing. Kit and pattern regularly $55.50 on special sale for $28 through midnight Saturday, December 6. Watch for more sales coming to your mailbox throughout the week. Hope you find time to stitch this week.